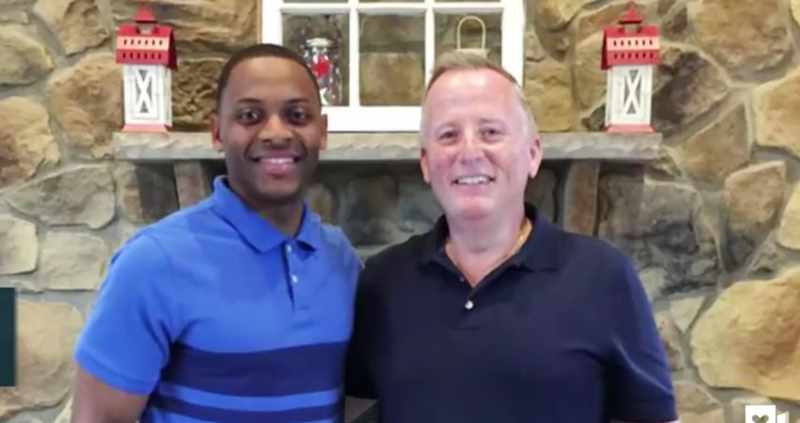 A New Jersey state trooper pulled over a retired police officer for a minor vehicle violation only to realize he was talking to the man who delivered him 27 years ago. Imagine being pulled over by a state trooper only to find out that this was the baby you delivered 27 years ago all grown up. That's exactly what happened to Matthew Bailly, a retired police officer from New Jersey, when he was pulled over for a minor vehicle violation. 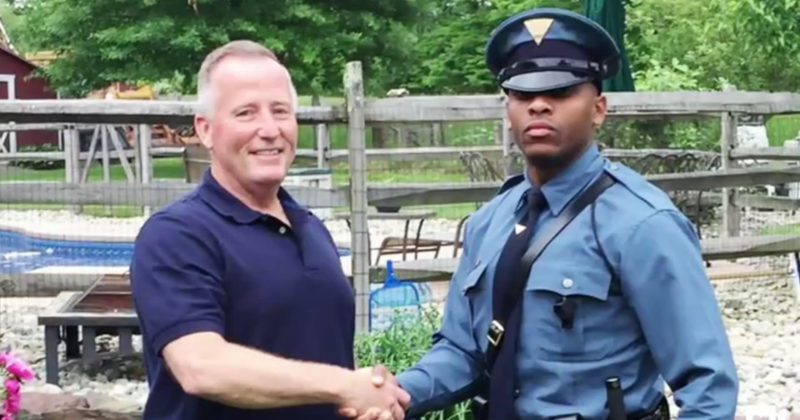 New Jersey State Trooper Michael Patterson had been on duty when he pulled over a man for a minor vehicle violation. When he looked at the license of the man in the car, who turned out to be Bailly, he noticed that he was from Piscataway, New Jersey, the same place Patterson was from. They began talking about the town, and then the strangest thing happened. Bailly asked Patterson what address he had lived at on Poe Place in Piscataway, and when Patterson replied "192," Bailly recounted that he had once delivered a baby at that address, who turned out to be Patterson himself. The conversation went down like this: Bailly asked Patterson, "What was your address on Poe Place?" 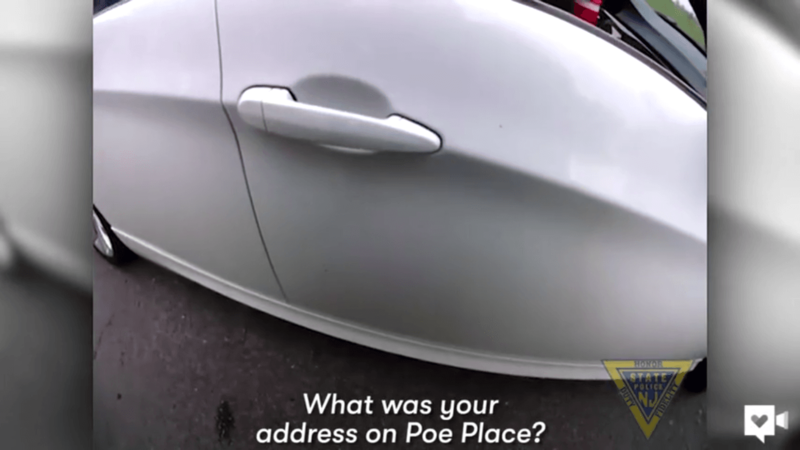 to which the state trooper replied, "On Poe Place? It was 192." Bailly then recalled, "It was the first baby I delivered, was that house. That's why I always remember the address." Patterson was bewildered and asked him, "At the house?" Bailly said, "In the bedroom. Oh yeah. Oh yeah. By myself." Patterson then realized that he was talking about him and exclaimed excitedly, "That was me. 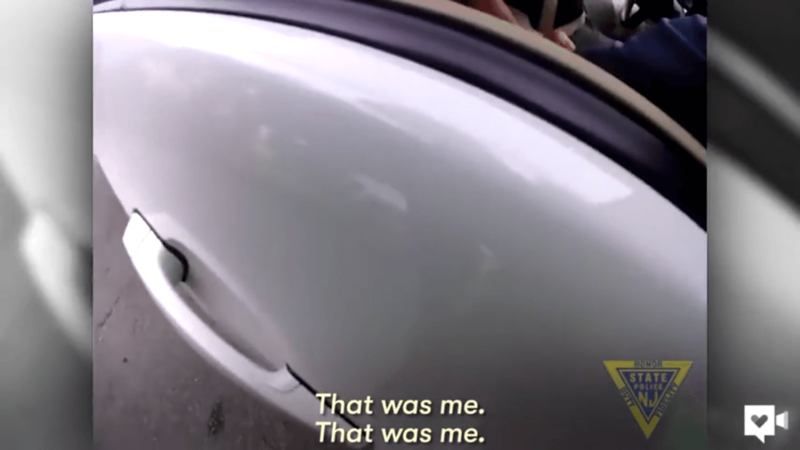 That was me!" Bailly himself couldn't believe that he was meeting the first baby he had ever helped deliver at a traffic stop and said in disbelief, "Get the hell out of here." Patterson, too, sounded equally incredulous and repeated, "That was me!" 27 years ago, in 1991, Bailly had delivered a baby in the bedroom of 192, Poe Place. Who knew that 27 years later, he would be pulled over by the same man he had delivered all those years ago. The fortunate meeting was not quickly dismissed as coincidence and Patterson decided to keep in touch with the retired police officer. He let Bailly off for the vehicle violation - a fortunate day indeed for the retiree. Patterson later met up with Bailly and his wife and introduced his mother as well to the man who had helped her bring her son into the world. Check out the video below.